PRASA re-introduces passenger train service between Cape Town <> East London! According to Bush Radio 89.5 fm, a community radio station from Cape Town, the Passenger Rail Agency of South Africa (PRASA) will re-introduce its train service between Cape Town in the Western Cape and East London in the Eastern Cape on 03 May 2015. South Africa's long-distance passenger rail operator Shosholoza Meyl, a division of PRASA, will run a train from Cape Town to East London every Sunday (departure time: 10:25) and from East London to Cape Town every Tuesday (departure time: 14:22). Download: Free map of Swaziland! 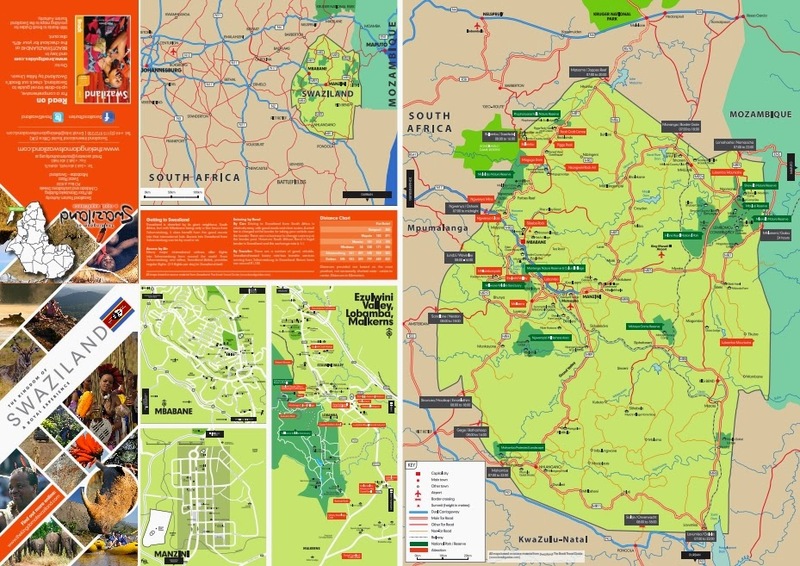 Swaziland Tourism, in cooperation with Bradt Travel Guides, has published a brand new map of Swaziland. Key features of the map, which is available online as a free dowland (pdf), include all key roads (with an indication of surface type), inset maps (Ezulwini Valley, Lobamba & Malkerns, Mbabane, Manzini), all places of interest, all accommodation options, a context map showing its proximity to Johannesburg and Maputo (and advice on how to get to Swaziland), an overview of the country's attractions and an annotated listing of Places to See and Things to Do, as well as Swaziland at a Glance. 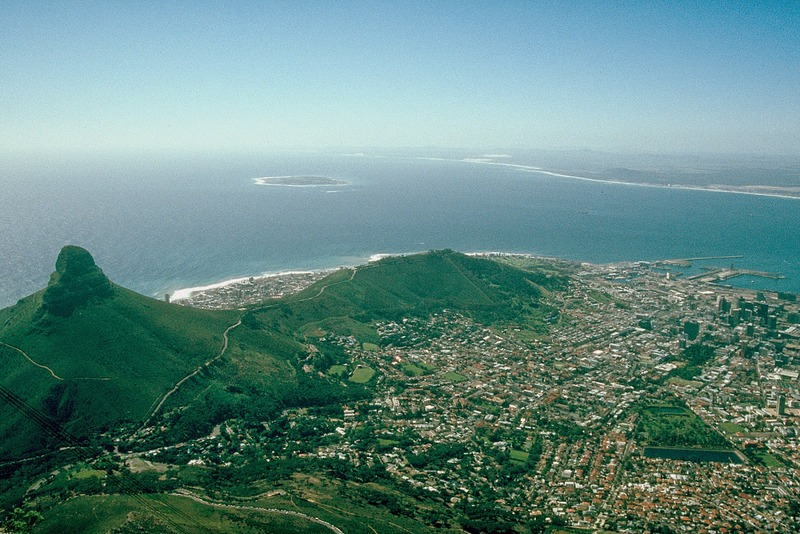 Cape Town: Explore Robben Island from your desktop! To commemorate South Africa's "Freedom Day" (27 April), Google has partnered with the Robben Island Museum and the Nelson Mandela Centre of Memory to bring the story of Robben Island online. You can now explore the UNESCO World Heritage Site by clicking through Google Maps' Street View imagery of Robben Island as well as by following an audio-visual tour of the island hosted on Google Cultural Institute. 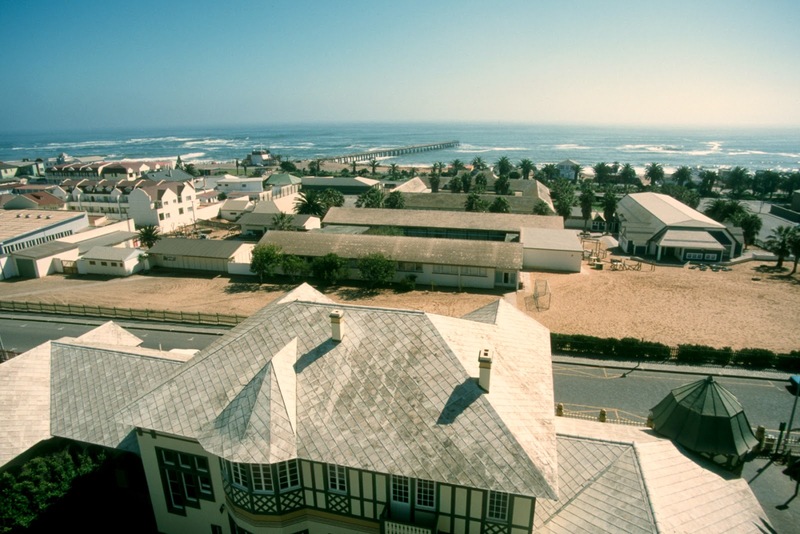 The audio-visual tour of Robben Island includes a visit to Nelson Mandela’s prison cell and activist Robert Sobukwe’s house. The imagery, audio-effects, video and virtual tour provide insights into the story of the island and some of its more famous prisoners. Cape Town: Concert Boulevard renamed Joe Marks Boulevard! The City of Cape Town has renamed Concert Boulevard in Retreat after South African struggle activist Joe Marks (Joseph Johannes Marks (1936-2011)). Mayor Patricia de Lille unveiled Joe Marks Boulevard along with family members in honour of his contribution to building a free and democratic society earlier today (22 April 2015). Air Botswana to stop direct flights between Maun <> Cape Town! Botswana's state-owned national flag carrier, Air Botswana, will no longer operate direct flights between Maun Airport (MUB) in Maun and Cape Town International Airport (CPT) in Cape Town from 04 May 2015. The service will instead be routed through Sir Seretse Khama International Airport (GBE) in Gaborone. The airline has therefor increased the flight frequency between Gaborone and Cape Town from two flights per week to four flights per week on Mondays, Wednesdays, Fridays and Sundays (also effective from 04 May 2015). Cape Town: Robben Island Museum introduced "off-peak tour schedule"! The Robben Island Museum has introduced its "off-peak tour schedule" a couple of days ago. Tours to Robben Island droped from four to three daily tours; they now run at 09:00 and 11:00, with the last ferry leaving the Nelson Mandela Gateway at 13:00. The 15:00 tour will return in peak season, which will recommence in September 2015. The Robben Island Museum also announced that ticket prices will get increased from the current R280 for adults to R300 on 01 June 2015. 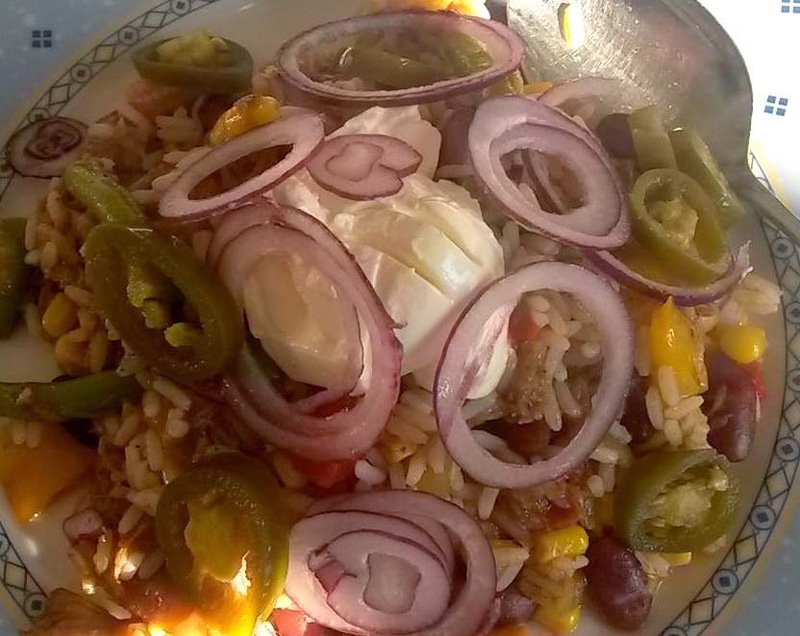 Video: "Project 2'22" Cape Town Food Safari"! Cape Town was recently voted third-best food city in the world at the Condè Nast Traveler Readers' Choice Awards 2014. Swiss filmmaker Stefan Rüegg's video "Project 2'22" Cape Town Food Safari" perfectly demonstrates why the Mother City is such a great foodie destination. Kudos Stefan! Cape Town voted third-best food city in the world! Malawi: "Lake of Stars" festival is returning to the shores of Lake Malawi! The famous, award-winning and simply awesome Lake of Stars festival will be returning to the shores of Lake Malawi in 2015. The arts & music festival will take place at the Sunbird Nkopola Lodge from 25 - 27 September 2015. The lodge is located right at Lake Malawi about 20 km north of the town of Mangochi in the southern region of Malawi. The Lake of Stars festival features artists from Malawi, Africa and the rest of the world and promotes tourism in Malawi, raises funds for charity and provides travellers and Malawians alike with the opportunity to enjoy incredible live music in an exotic and beautiful location. Alongside the main festival at Sunbird Nkopola Lodge, free outreach activities will also take place in neighboring Chipoka Village for the local community. New drone video of Cape Town! Dutch brothers Sander & Bas Mutsaards recently visited Cape Town to write a travel report for a Dutch online mag and to film a drone movie (DJI Phantom 2/Zenmuse H3-2D gimbal/GoPro Hero3+ Black/GoPro Hero4) of the Mother City. The short video is probably not as spectacular as the one Eric Cheng shot a while ago [link], but it defo has some great views on Table Mountain, the Bo Kaap, Stellenbosch, Camps Bay and, of course, Lion's Head. Kudos Sander & Bas! Stunning Drone Movie Cape Town shot with a DJI Phantom 2 and Go Pro HD from BeemDesign on Vimeo. Jomo Kenyatta International Airport (Nairobi): New Terminal 2 now operational! The Kenya Airports Authority (KAA) has recently opened the brandnew Terminal 2 (T2) at Jomo Kenyatta International Airport (JKIA) in Nairobi (Kenya). The new terminal is located right behind the airport's Air Traffic Control Tower. Kenya Airways has began to shift flight handling to the new terminal, while regional carrier Fly540 shifted their entire operation to T2. It is expected that over the coming days more and more airlines and flights will be moving to the new terminal. Stony Point Eco Centre opened at Stony Point in Betty’s Bay! South Africa's Minister of Tourism, Derek Hanekom, has officially launched the brandnew Stony Point Eco Centre at Stony Point in Betty’s Bay. The new facility, which includes a visitor information centre, a tearoom and a heritage site of whaling history, is an initiative solely owned by the members of the Mooiuitsig community. The Stony Point Eco Centre is poised to attract more domestic and international visitors. Stony Point is one of only three mainland-based colonies of African penguins in Africa. It has become an important breeding site for the threatened species. Penguins can be seen daily; the best viewing is in early morning and early evening between the months of April and June. The film "From the Frontline: Saving our Rhino" was made by Black Bean Productions in support of the SANParks Honorary Rangers. 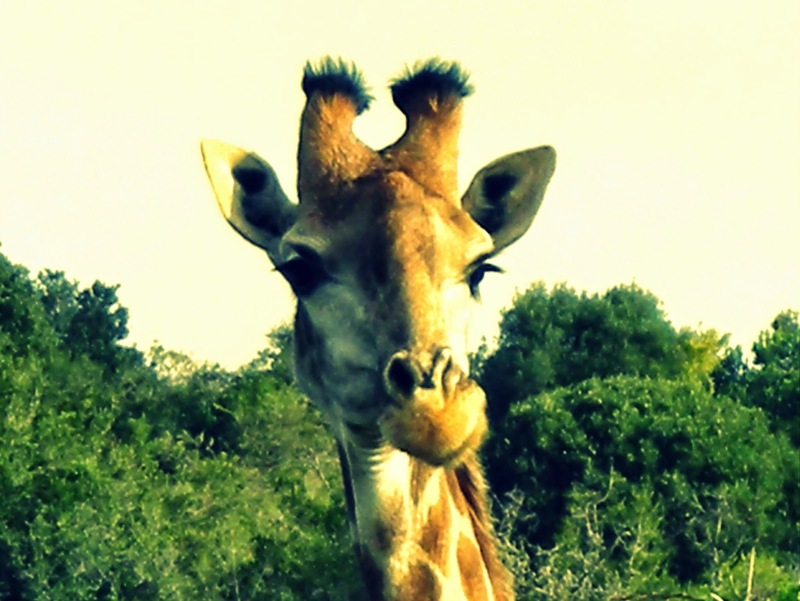 This is a volunteer organisation working alongside South Africa National Parks (SANParks) to support conservation efforts in South Africa's national parks. Currently they are working tirelessly to raise funds to train and facilitate large counter poaching teams across South Africa to save our rhino. Please help to win the war against poaching, make a donation and share this film. Every cent donated will reach the intended anti-poaching project. Please SHARE this film #rhino4ever! Gauteng Tourism Authority: Four new promotional videos for Gauteng! The Gauteng Tourism Authority has released four new promotional videos for Gauteng, the smallest but most populous province in South Africa. The videos feature Johannesburg, Pretoria, the West Rand and Ekhurleni. Enjoy! Just a quick reminder: Daylight saving time ended in Namibia already on the first Sunday in April, which happend to be the 05 April 2015. Time changed from UTC+2 to UTC+1. The official time change took place at 02:00am (from 02:00am to 01:00am). Daylight saving time in Namibia will resume again on the first Sunday in September 2015 (06 Sept 2015). update (02 Dec 2015): After nearly seven months of major roadworks along Camps Bay Drive in Cape Town, the road has been reopened on 30 Nov 2015.
update (06 Oct 2015): Due to a number of unexpected challenges that have delayed the project, Cape Town's Camps Bay Drive will remain closed to general traffic until late in November 2015. The scenic route has been closed to traffic since 20 April 2015. The City of Cape Town will be undertaking major roadworks along Camps Bay Drive this winter to significantly improve the road condition and safety for road users. The road will therefor be closed for general traffic as from Monday 20 April 2015 until end of September 2015 if everything goes according to plan. Stop-and-go control points will be in operation between Geneva Drive and Prima Avenue and Houghton Drive and Rontree Avenue to give access to residents who live in the vicinity of the roadworks. Commuters can make use of Geneva Drive as an alternative route to enter or exit Camps Bay. The City of Cape Town expects major delays and advises road users to take this into account when planning your journey. avocado - from R14.95 ea. 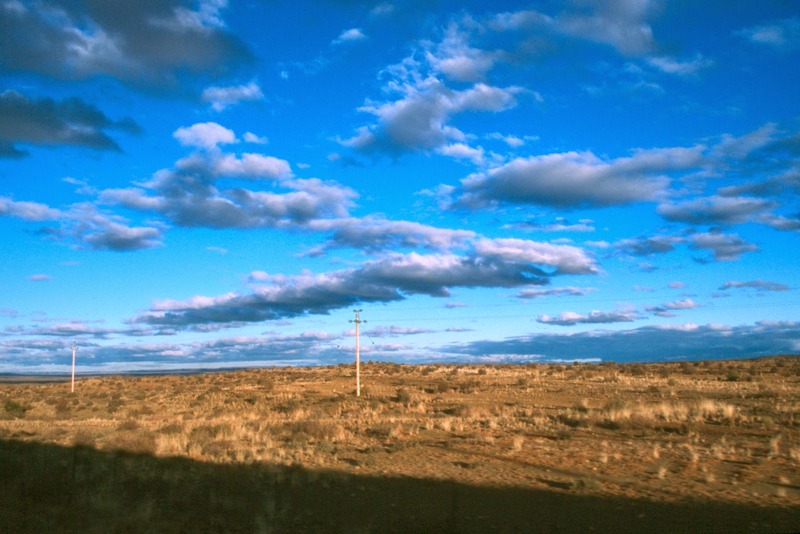 SafariNow's Top 8 Road Trip Routes in South Africa & Beyond! Africa's biggest travel booking network, SafariNow, recently compiled a list of the Top 8 Road Trip Routes in South Africa and Beyond. Airports Company South Africa (ACSA) has published the on-time performance results of domestic airlines’ flying out of OR Tambo in Johannesburg, Cape Town International Airport, and Durban's King Shaka International Airport in March 2015. New mobile phone app: "Madiba's journey"! South African Tourism and the Nelson Mandela Foundation launched the "Madiba-inspired tourist attractions" map, which encourages tourists from around the world and South Africa to travel the country and walk in the footsteps of Nelson Mandela, in 2014. The map has now been developed into a GPS-enabled mobile phone app to further enhance visitors’ experiences in South Africa. 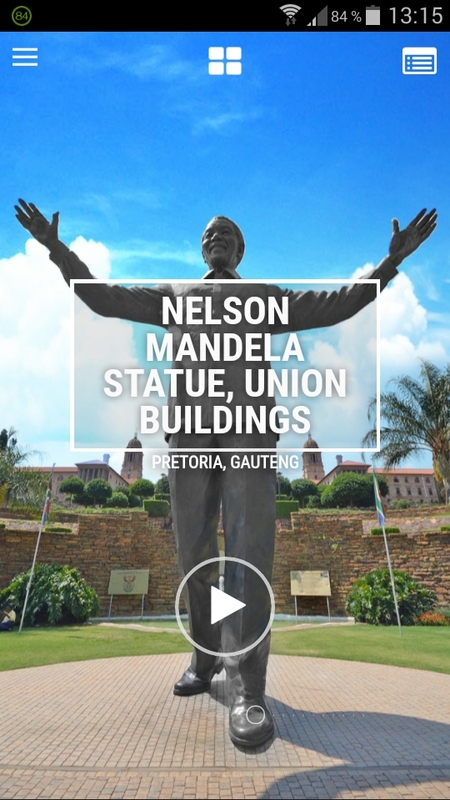 The app uses location-based services and features tourist sites as well as general places of interest, including Mandela's post-presidential office at the Nelson Mandela Centre of Memory in Johannesburg, the Nelson Mandela Statue at Union Buildings in Pretoria, Nobel Square at the V&A Waterfront, Robben Island and Pollsmoor Prison (all in Cape Town) and Qunu in the Eastern Cape, where Madbia was laid to rest. The app "Madiba's journey" is now available for download in English from the Apple iTunes store (iOS devices) and the Google Play store (Android devices). It will soon be available in other languages, including Afrikaans, Zulu, Xhosa, Dutch, French, German, Italian, simple Mandarin and Portuguese. Jomo Kenyatta International Airport (Nairobi): Night-time closure for runway! The runway at Jomo Kenyatta International Airport (JKIA) in Nairobi (Kenya) will be partially closed for rehabilitation between midnight and 06:00 a.m from 02 April 2015. The runway works, which will include resurfacing the full runway, upgrading the Instrument Landing System (ILS) and upgrading the runway capacity by construction of rapid exit taxiways and extending the parallel taxiway, is expected to take 12 month. All passengers at Jomo Kenyatta International Airport (JKIA) have been advised to contact their airlines to confirm their flight schedule in advance and to arrive at the airport four hours prior to departure.